I suppose if I was beaten and tied-up in my house, and over the course of the next few weeks won over $1.2 million I might go out looking for trouble –trying to replicate my beat-down run-good—which is precisely what Jonathan Duhamel seems to have done after a second place finish in the PCA High-Roller tournament – although we still haven’t gotten Duhamel’s version of events and considering Martin Finger’s “reputation” I’ll reserve judgment on who was at fault for the following incident. PlauZee: was it a hit-and-run?! PlauZee: omg. can i blog that?! PlauZee: how sick is that?! Martin Finger, “0Piggybank”, was blinded out of the 1k HU Event where he just made it into the money. The reason for it? He got arrested. The reason why he was is simply as well: Martin Finger was hungry, the restaurant was closed, so he just went in smashing the front door. Duhamel has yet to chime in on the incident, but judging by his Twitter account he may not even recall the incident, as it appears there was a competition between Duhamel and PokerNews’ Kristy Arnett for the title of the “Drunkest Person in the Club”. This would make even more sense of the rumor that they crossed paths at the airport without incident is also true. Needless to say, Martin Finger is fast becoming one of my favorite poker players, hopefully he doesn’t get himself banned from real money casinos. Can you imagine if he was on tour when players like Hevad Khan, Josh Schlein, and Eric Molina were acting the fool! Anyone who would break into a restaurant because they were drunk and hungry would likely have not suffered the type of behavior that was on display during the 2005-2007 years at the WSOP. This entry was posted on Tuesday, January 17th, 2012 at 9:56 am and is filed under Poker News. You can follow any responses to this entry through the RSS 2.0 feed. You can leave a response, or trackback from your own site. 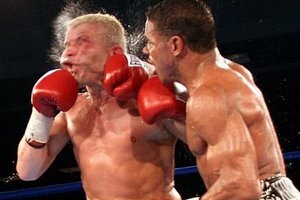 Your favorite player is someone who likes to go sucker punch someone in the face? Nice…..